I haven’t been able to independently verify the above story, and an email I wrote to the AFA requesting further details remains unanswered. But if the story is true (and I have no reason thus far to believe otherwise), then Tilton should be ashamed of spouting that kind of crap. First of all, it’s not going on at every airline in the industry. And secondly, what kind of CEO, airline or otherwise, tells one of his best customers to go ahead and shove it? Maybe if you’re Michael O’Leary, CEO of Ryanair. But O’Leary can do so because his airline’s fares are so low that people will always come back, regardless of service. If the price is right, service doesn’t really matter. But United’s no Ryanair, and the airline can’t afford to alienate key customers (let alone the rest of us). United’s workers… have had their wages, pensions and benefits cut even as the chief executive officer has been paid nearly $20 million dollars over the last five years (despite United’s stock dropping 43% during his tenure)… All employees share the pain equally. If there are big cutbacks anywhere, senior management should take substantial pay reductions and limits on its privileges, such as fewer business class flights and trips on private jets. The troops look to senior management for direction. If those troops see the top brass caring for itself at the expense of others, the spirit of the entire organization erodes. United’s long-running financial troubles show no sign of abating. Tilton’s strategy has been to try to polish up the airline enough to sell it off or merge it. Delta was always seen as the likely choice, but it opted for Northwest. And Continental figured that it would be better to just “remain good friends” with United (as evidenced by the new alliance between the two airlines) rather than a full merger. Nobody wants United, and that throws a wrench in Tilton’s plans. 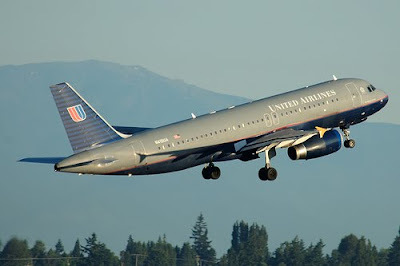 United’s fleet of planes is starting to get a little long in the tooth, and despite the airline’s recent talk about shopping around for a big airplane order, it’s clear that the airline would have a difficult time obtaining financing. As is pointed out in this Chicago Business article, United has billions in debt, and Tilton’s already burned most of the furniture already. There’s not much left. Which means, quite simply, that it’s time for Glenn Tilton (and probably a lot of the rest of UAL management) to go. I don’t want to play armchair CEO, but it’s clear that whatever’s going on in Chicago needs to change, and change soon. Times are tough, sure, and everyone’s hurting. But United has consistently been a loser in many categories – financial performance, customer service, etc. Firing Tilton wouldn’t fix all of these problems overnight, but it would be the first major step on United’s much-needed road to strength and stability.